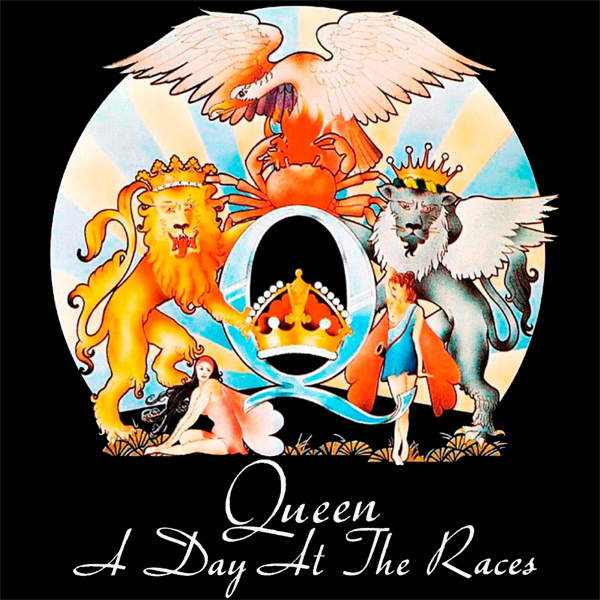 Let's go for A Day At The Races with Queen. This seems to mean two scantily clad babes holding up the letter Q and a crown supported by one golden lion and one silver one. Oh, and let's not forget the crab and bird in the background. The remix is much more simple as we find a group of babes lined up ready to run a race. It's no surprise they want to run away, as they seem to have forgotten their running kit. Sneakers!